The New, The Awesome, The Great NPSP Reporting Workbook is Out! On Monday this week we published a blog post and highlighted the importance of reports and to be very specific annual reports for nonprofits. As promised this post focuses on the new reports that are available in NPSP, actually 67 of them – right out of the box at no additional cost. Nonprofit Salesforce Admins and Development personnel are being asked to provide more and more data about their organisations, but seem to have less and less time to prepare reports. 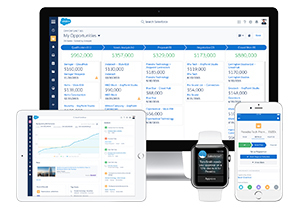 Nonprofit Success Pack harnesses the power of Salesforce reports and dashboards to deliver data to you—right out of the box. In the extensive list of NPSP reports, you’ll find reports that track Donors and giving, Grants, Memberships, Campaign ROI, and more. If you’ve been using NPSP for a while, you’ve probably used the older reports in the NPSP 3.0 report folders. We strongly recommend that you take advantage of the new reports available in NPSP version 3.90 (February 2017). All in all, NPSP offers 67 new reports and 4 new dashboards. The sections below provide a complete list of the reports and dashboards available with NPSP. Feel free to get in touch with us if you would like to learn more about these reports or find out about your current version of Salesforce Nonprofit Success Pack (NPSP). We are here to help you to upgrade to the latest version of Salesforce Nonprofit Success Pack (NPSP).